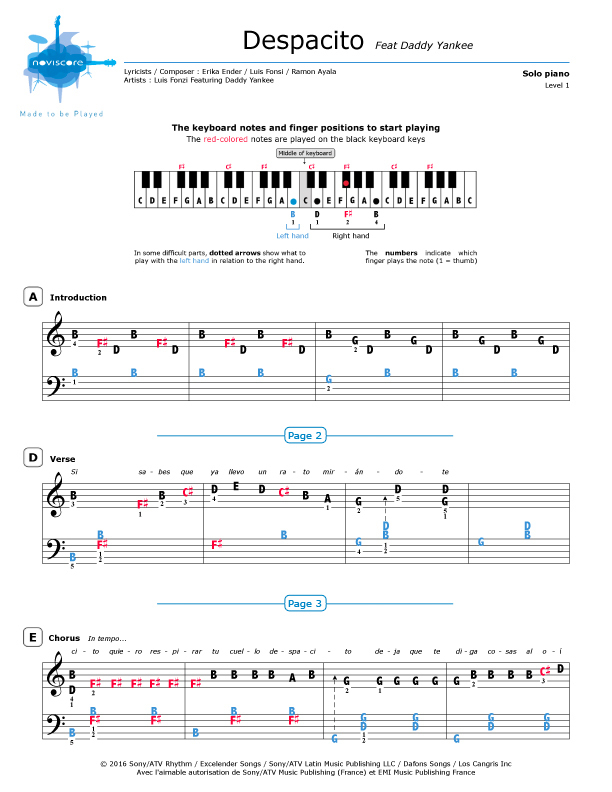 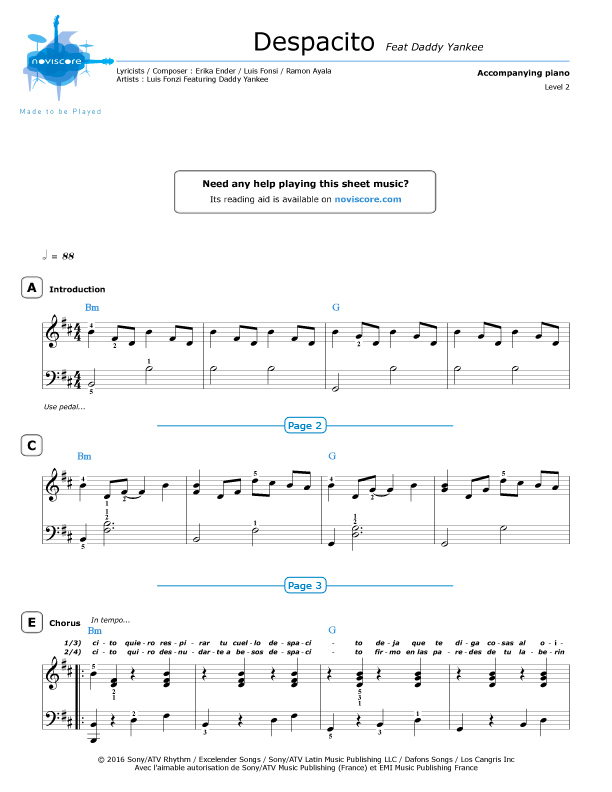 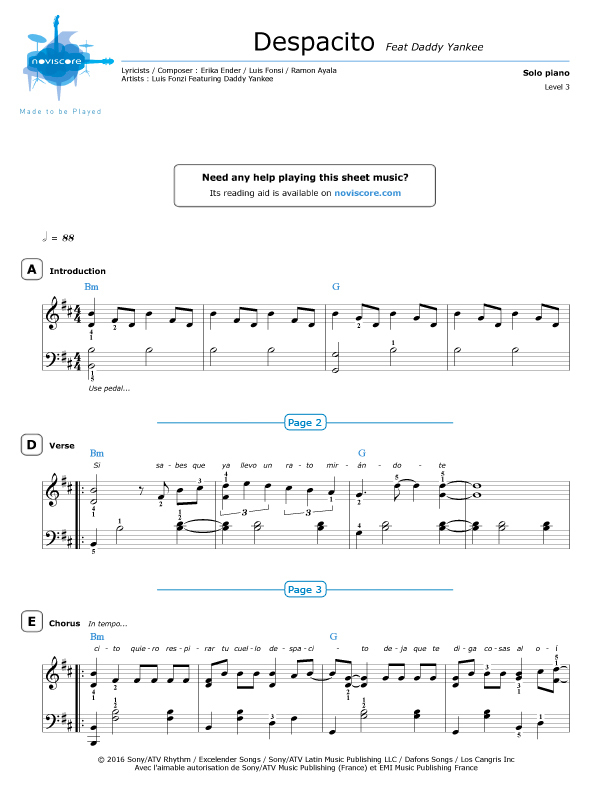 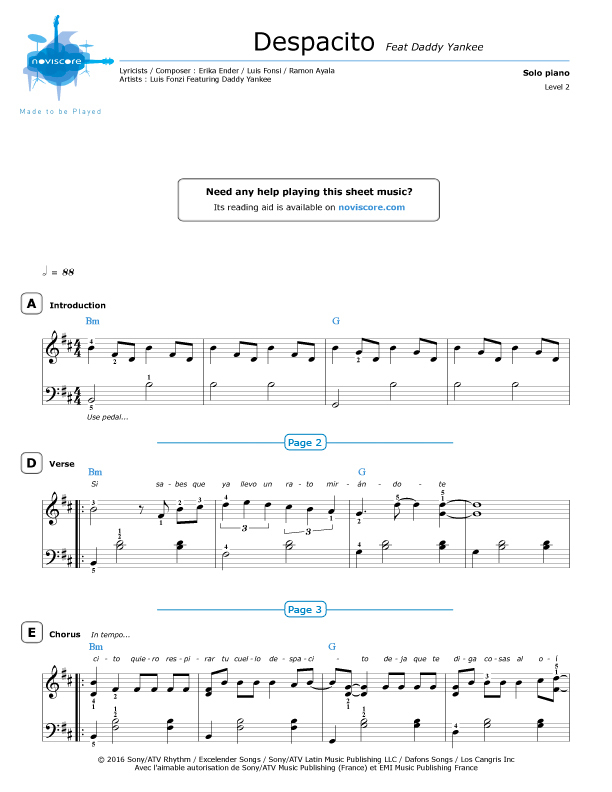 Learn about reggaeton with our "Despacito" piano sheet music. 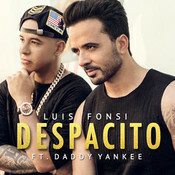 The title has become a true planetary success in 2017 and its musical genre, originally from Puerto Rico and unknown so far, is gaining worldwide fame thanks to Puerto Rican singer Luis Fonsi and featuring Puerto Rican rapper Daddy Yankee's fevered smash hit. 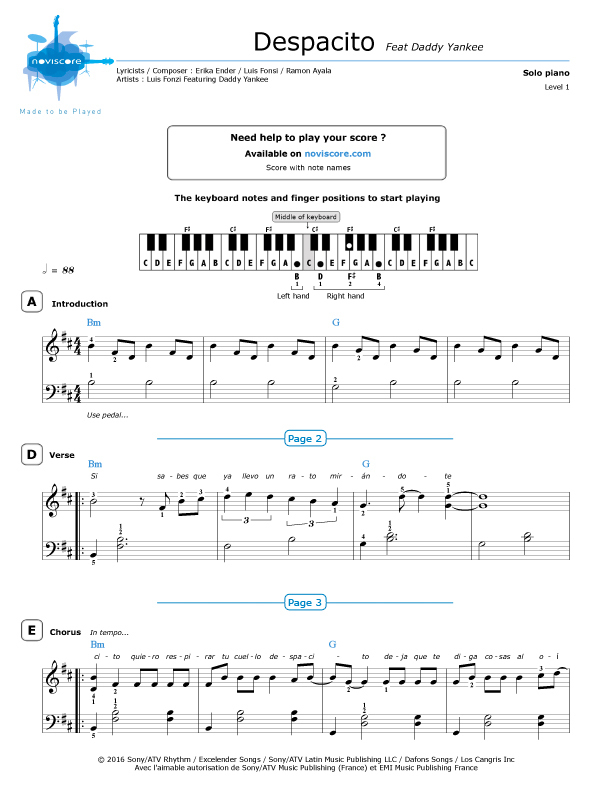 Discover our piano scores for piano solo or piano accompaniment available in different skill levels. 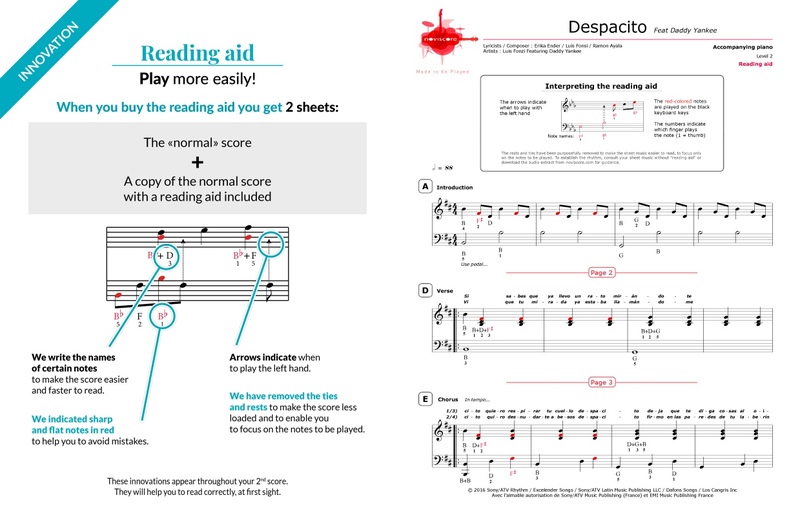 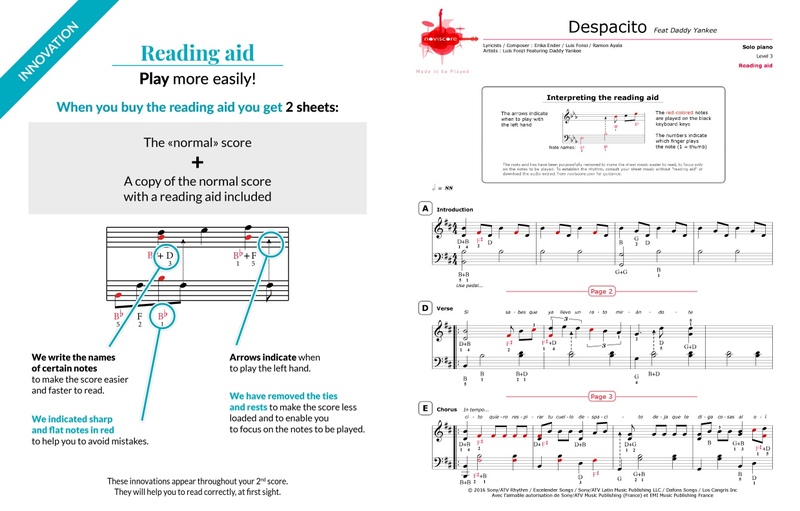 The easy piano score (level 1) and the version with the note names are specially studied to allow beginners to have fun ... 7 months after its release, the "Despacito" clip hit the world record for the The Most Watched Video in the history of music!